Join Ryan, West, Andrew, Mew and Ray as they talk with acclaimed writer BEAU SMITH! Listen as they talk about everything Guy Gardner, Fringe, the industry in the 90s, Geoff Johns, Tony Daniel, DC Editorial, and of course stay tuned to the end for the latest news on the long rumored Green Lantern Corps Annual issue! All that and more on this very special episode! 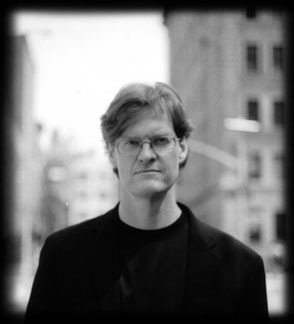 thegreenlanterncorps.com: It’s a true honor to bend your ear and bounce a few questions off you, Gerard. Now full disclosure here, and it shames me a little: I am of the generation that picked up Wizard one day and saw, “Holy cow, Hal’s going crazy, big things are happening, I think I’ll pick up Green Lantern” when I otherwise might not have. Nevertheless, after working my way backwards, I discovered your works to be a treasure trove of development for Hal Jordan, the Corps, and the mythos in general. I really love the era of GL you ushered in and the direction I believe that seemed to be heading in. What first attracted you to the mythos of the Green Lantern Corps and all the history that went with it? Had you already been a fan? Gerard: I loved the John Broome-Gil Kane-Julie Schwartz GLs from the ’60s, although my knowledge of them didn’t go back that far. When I was a young fan I was mostly into Marvel and was completely ignorant of DC’s Silver Age, but around 1979 or 1980 my friend Will Jacobs made me read some of them. GL was a fascinating but sometimes frustrating series in that sometimes it was everything it ought to have been but other times seemed to coast or even lose its way. When I started getting into current DCs in the ’80s I found that that was still the case–and I really didn’t like the way Hal Jordan had been handled since the original team up with Green Lantern. So when it became apparent that I might actually end up writing comics for a living, I conceived the idea that I’d like to restore Hal and GL to something like what they’d been in the early ’60s. GLC: Green Lantern #19 [Vol. 3] is a fan favorite, which very nicely brought us up to speed with how Alan Scott figured into things in the post-Crisis DCU. But it was also a touching tale that touched on many points in Alan Scott’s history. Were/are you an Alan Scott fan? Gerard: Actually, no. I’ve never been very interested in those characters from the old All-American Comics line. But that storyline called for some development of Alan Scott, and Marty Nodell told me he’d love to do something for GL again, so I did my best. GLC: On that note, do you think Alan Scott and the JSA were better off left in the state of Purgatory they were in, or do you think they deserved an active place in the modern DCU? Gerard: I think if there are good stories to be told, you shouldn’t waste a fun character. So unless you could make them function well from purgatory, like those Kryptonians in the Phantom Zone, they should be set free. GLC: Picking things up with Volume 3, how much of an obligation did you feel to following up on what had been going on in Action Comics Weekly previously? Gerard: I really wanted a clean slate, but my editor, Andy Helfer, felt strongly that we needed to build straight from the Action Weekly issues. So I tried to tie that stuff up and move on as fast as I could. Which is not to express any judgment of those stories, I just wanted to move on to a new conception of GL. GLC: What has always been disappointing to me (and it’s no one’s fault, really), personally as a fan, is the bit of a disconnect between the end of your run on the third volume of GL and the beginning of the Ron Marz run. Now, I do enjoy the Ron Marz run, but I was left with – and I’m fairly certain I’m not alone – the distinct impression you were going in a very different direction. To begin with, in your opinion, how do you feel Hal Jordan was truly affected by the destruction of Coast City? Did it really shake him to his foundation, or was it kind of more in the lines of, “Well, that is terrible, but life goes on”? GLC: Like other fans, I’ve read the vague bits and snippets about your original plan regarding an alternative to “Emerald Twilight” and I’ve been fascinated with what that was all about. Forgive me if I’m way off base here, but I’ve read they involved the spawn of the Guardians and Zamarons after they left the universe during “Millennium” (to this date, that’s still a thing that’s been left unexplored), the original Guardians, and Hal becoming/ascending into the persona of “The Protector.” Will you talk at all now about where you going with this, had this been given the go-ahead? Gerard: It sounds like you’ve read some pretty accurate assessments. I hadn’t settled on everything that was going to happen after issue 50, but I was seriously entertaining those various elements. Although I wasn’t expecting to stick with the name “the Protector.” That was basically just a place holder until I thought of something better. I definitely wanted the Zamarons to give birth, although I was still working on what that might lead to when the series took a sudden change of direction. I remember Kevin and I joking about what the babies would look like. One of us, I forget who, suggested that the boys should be blue and the girls should be pink. Or vice versa, to create more drama. GLC: You kicked off Guy Gardner’s own solo series as well. Any memories from that, or the character’s evolution over the decades? Gerard: I really liked writing Guy. I especially liked his four-part story in GL and his “Reborn” mini-series. No one is more fun or satisfying to work with than Joe Staton. That was sheer joy. Unfortunately by the time Guy’s own series started my relationship with DC was getting pretty crappy. I’m afraid I didn’t put in nearly as much work as I should have to the texture and ongoing storylines that a series really needed. In retrospect, I shouldn’t have taken the series on–but I’d been looking forward to it so much and I just didn’t admit that things weren’t going well. GLC: OK, let’s talk Mosaic. Was #18 – more or less – always intended to be the end of the series? Gerard: No. It was planned to be open-ended, and after our strong early sales I thought we had a series that could keep running for a while. I had plans to build to some big events in issue 25, some truncated versions of which appear in #18. But I was rushing it fast toward the end, because 18 was the most I could talk DC into giving me. I think they originally wanted to end it at 16 or 17, though, so I’m glad I got the extra room. GLC: Would you care to say a little bit about where would you have gone with things in Mosaic if editorial hadn’t decided to take things in a different direction? 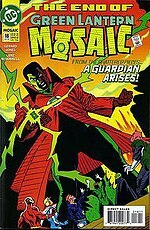 If we’d have gotten to read a Mosaic #100 written by Gerard Jones, where would we see John Stewart? Gerard: I hate to admit it, but it’s been too long. I stopped thinking about Mosaic the day I finished the script for #18, and many years have passed. As I say, I had a more fleshed-out version of the same general events planned through #25. And I had a bunch of ideas for developing John’s new status as a sort-of Guardian, with some new challenges befitting the role coming from the various peoples on Oa. I wanted the planet to evolve out of the chaos of the early issues, for various “lands” to start adjusting to their new reality and for political alliances to form among different peoples. But the specifics are gone, until and unless I stumble over any of my old notebooks. GLC: This remains a big mystery to this day – Katma Tui. John Stewart resurrected her (or did he?) with his Guardian powers. Was she the real deal, was there something else going on, and can you tell us anything about the original plan for her? Gerard: I had some spooky stuff in mind. John himself was going to begin doubting whether it was really her. She would know things the real Katma Tui had no business knowing, and it would emerge that she had a certain connection to Guardian-consciousness, but it was distorted somehow. And that red connection was going to hook into Sinestro, bring him back as a follow-up to that “Something Red” story. GLC: It almost seems silly to ask, but you having the sole distinction of having written for Hal, John, and Guy in their own respective series… c’mon, who’s the favorite here, Gerard? Gerard: I always thought Hal was potentially the mostly interesting, although I never quite got my head around him. Or maybe never quite got all the way inside him. I’d call him the most compelling but frustrating of them, but John was the one I felt closest to, since I basically reinvented his personality for Mosaic. He felt almost like my creation in that context. GLC: Are there any Green Lantern projects in your future and if not, hypothetically, if you did have some GL stories that’ve been left untold, could they be told within the current status quo with the GL-verse? Gerard: I’m sure I’ll end up writing comics again in the not-too-distant future, but I don’t expect it to be on the DC Universe. If someone asked me to write a GL story for old times’ sake I’m sure I’d come up with something, but he’s not a character I think about anymore. GLC: Do you have any memories – fond or otherwise – from your time as pretty much THE GL writer of the time that can be told, now that enough time has passed? Gerard: It was incredibly fun to be sort of running the whole show for a little while there. I remember doing charts on how the Corps stories, the Hal stories, the Guy stories and the Mosaic stories could all build on each other. Trying to get the whole complexity of the GL-verse into my head at one time. There was a quality of play to that part of the work that I rarely experienced in comics. It was all a great experience. GLC: Gerard, if you will I’ve got some questions I’ve gathered from some fans on our forum at www.thegreenlanterncorps.com. From the top: Did you have any specific plans for the Lanterns you created; Boodikka, Brik, Kreon, Tomar-Tu, etc.? Gerard: Not many specific plans as of the time I left the series, but I wanted to create a body of GLs who could function together as a sort of repertoire company. I was consciously creating a range of contrasting personalities who could play well off each other, and I intended to have them appear in GL, Mosaic and occasionally Guy Gardner to help weave those together. GLC: We have the current Geoff Johns explanation about the gray temples on Hal (it was Parallax/the Yellow Impurity/Living Incarnation of Fear reaching out and influencing Hal even before Volume 3 began)… what’s yours? Gerard: I thought he was a guy whose hair started turning gray at the temples. But I appreciate Geoff’s cleverness in working even that detail into continuity. GLC: Your recruits were still rebuilding the Corps when Hal returned to Earth; did you have ideas for any more original Green Lanterns, and if so, what were they like? Gerard: I did have a few more in mind–and hoped to use them in that repertoire company I mentioned–but I’m afraid the details have faded from mind. They weren’t very thoroughly developed yet, because I was in no particular hurry. I wanted to develop the ones I’d already created more. But making up new Green Lanterns is part of the fun. GLC: I’d like to close with thanking you for your hard work on the third volume of Green Lantern, your professionalism in the face of the curveballs thrown your way, and the bold strides you were making with Hal Jordan and the Corps in its pages. Is there anything you’d like to add in closing? Gerard: It’s very gratifying to know that 16 years later, or however long it’s been, people are still thinking about those stories. It’s funny, that’s about how much time had passed from the Silver Age to when I was first thinking about how I’d like to do something with GL. I’ve become an old-timer at last! 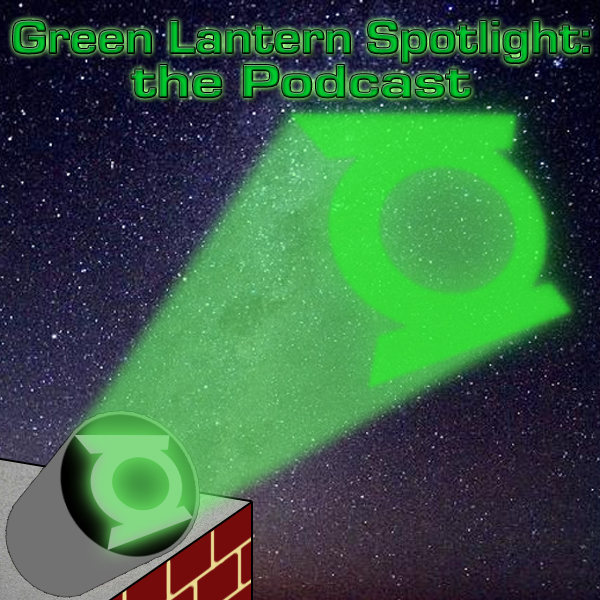 Green Lantern Spotlight Episode #3, Part 2 a.k.a. RON FRICKIN’ MARZ!!! Ron Marz joins us on the podcast as Andrew, Ray, West, Kuhan and I sit down and have a great chat about his work on Green Lantern and the creation of Kyle Rayner. This was a tremendous amount of fun and I think we all learned a ton of things we had no idea about. Coming this summer we hope to welcome Ron back for a second podcast, this time joined by Darryl Banks.